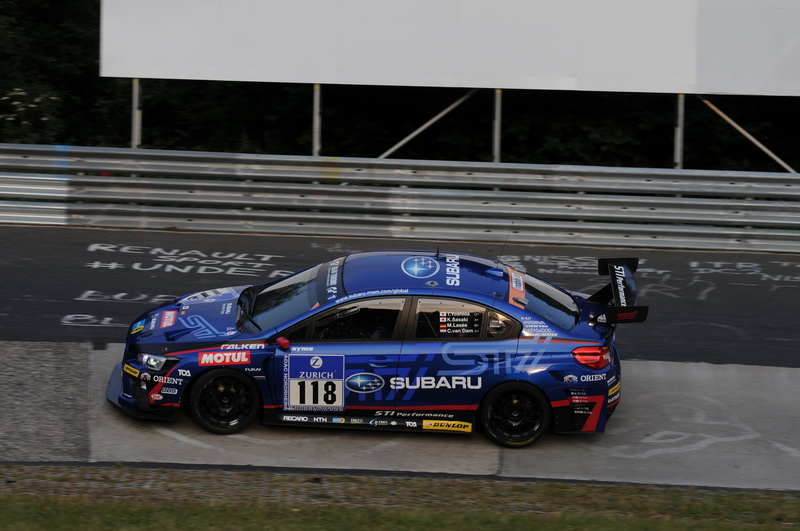 The Subaru WRX STi is demanding on brakes due to the high COG (Center of Gravity), longer pedal stroke (pedal ratio), and the chassis balance which forces the front brakes to do a bulk of the braking work. 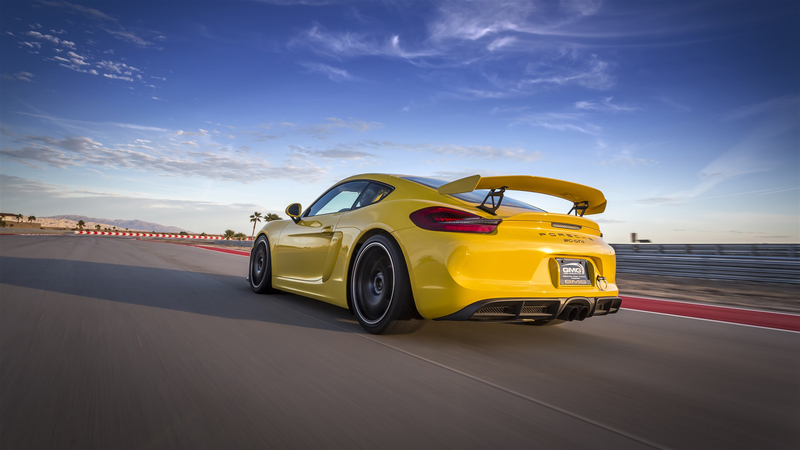 Brembo performance and specific race systems are designed with each specific application and the chassis requirements in mind. 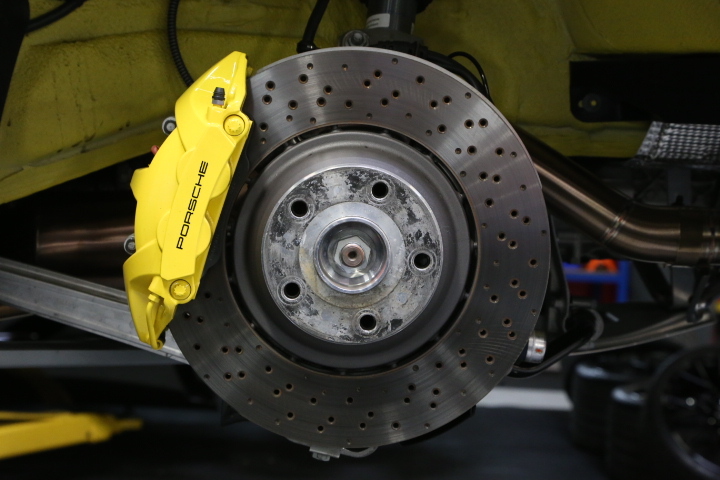 This specific 4 piston Brembo Racing system using a 328 x 35 mm disc for the Subaru WRX STi was designed specifically to help clear most 17″ wheels and with a true motorsport application in mind (Touring Car Racing). 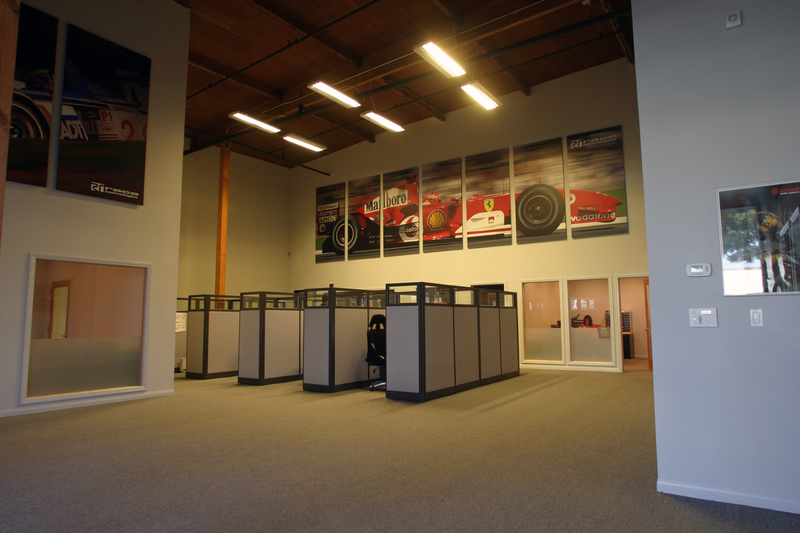 Understanding that each chassis, team, driver pairing is different: all the variables were considered when engineering a race system for a professional team racing in a professional series versus an OEM type or aftermarket system designed for a wide range of operating environments that a road system would experience to the occasional rigors of a track day. 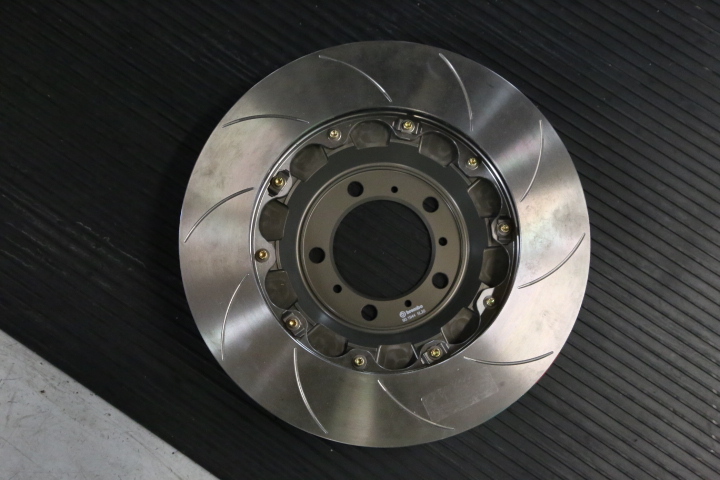 Stock Disc Size: The OE Subaru WRX STi stock disc size is 325 x 30 and most aftermarket systems on the market which clear smaller wheels make a considerable compromise in thermal capacity. 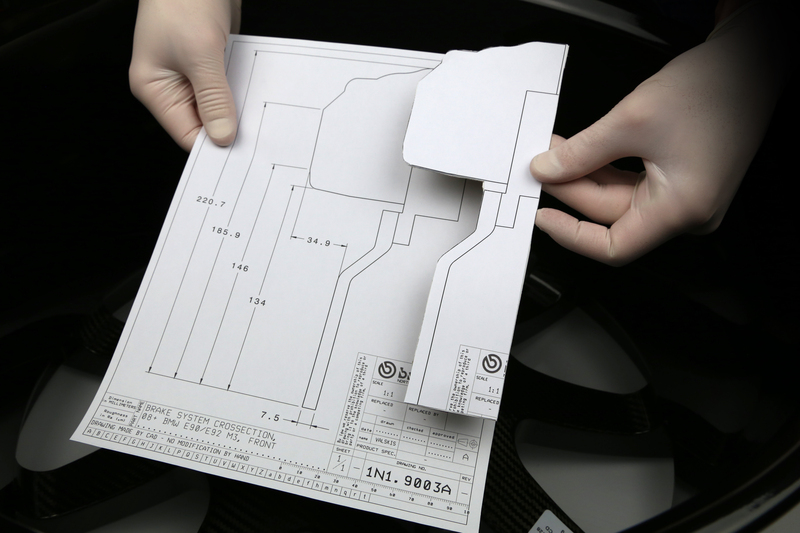 This is why Brembo offers a 328 x 35 mm or 350 x 34 mm Brembo type V or type III face type disc. 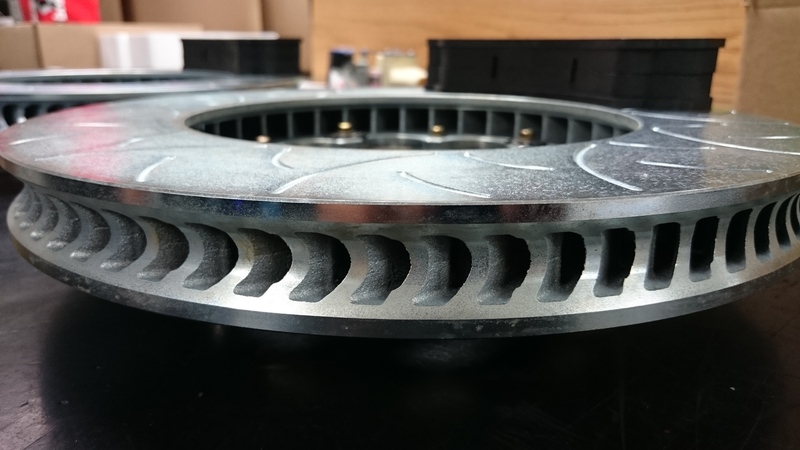 These racing discs for the Brembo race systems are a huge step up in thermal capacity compared to OE and the thermal mass is closer to what all professional Subaru STi motorsport GT teams are using around the world. 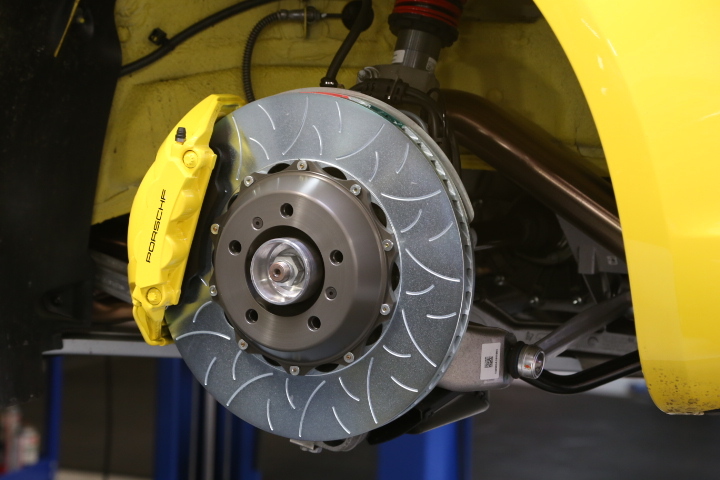 Disc Casting/Vane Count: Brembo is one of the only braking companies which controls the engineering, design, and manufacturing process of components and brake systems from start to finish. The specific Brembo Racing 328 x 35 mm disc uses a large 19 mm air gap typically (vs. 10-14 mm) and 72 vane disc configuration which is designed to maximize the cooling surface area of the disc while keeping the Outer Diameter (OD) of the disc on the smaller side to assist with wheel clearance. The Brembo vane design is substantially better than the vane designs used by the OE discs or typical “racing” branded products. 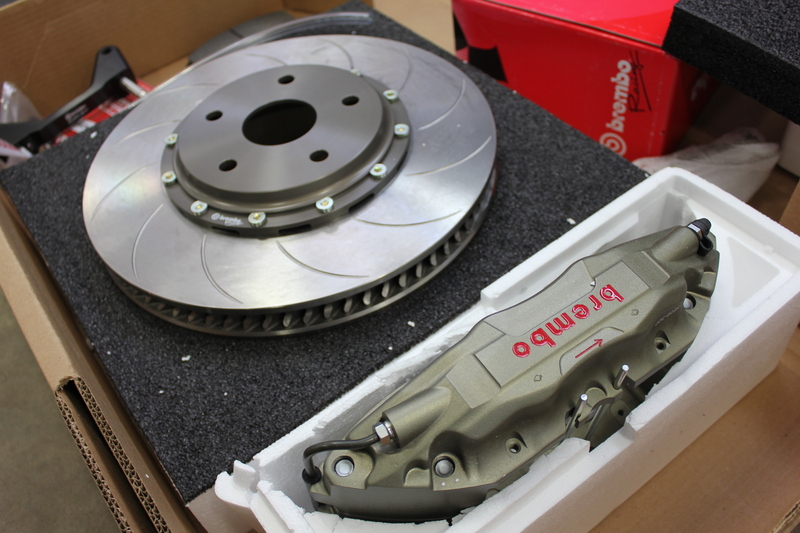 Brembo Racing 328 x 35, 72 vane discs. Photo: Lachute Performance. Brembo type V Face type: The Brembo type V face type is a motorsport developed face type with comparable initial response compared to a typical sprint disc while focusing on braking control, modulation and low wear of the consumable parts (pads/discs). The Brembo Racing type V face type is designed to offer lower pad and disc wear for certain long distance endurance races or heavy duty braking applications. Brembo Racing 4 piston system with Type V Discs. Photo: Lachute Performance. 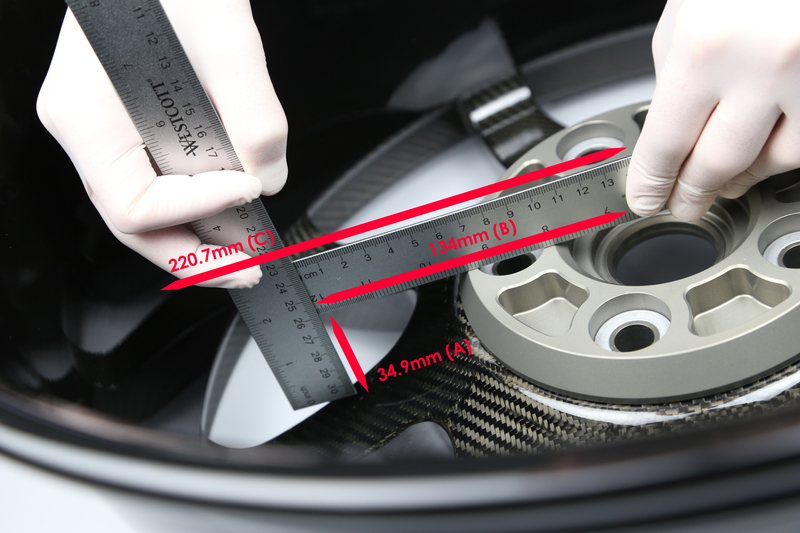 Pad Area / Disc Surface Area: The stock Subaru WRX STi 4 piston pads use a large annulus (radial depth from outer to inner diameter of the disc) for maximum pad surface area. 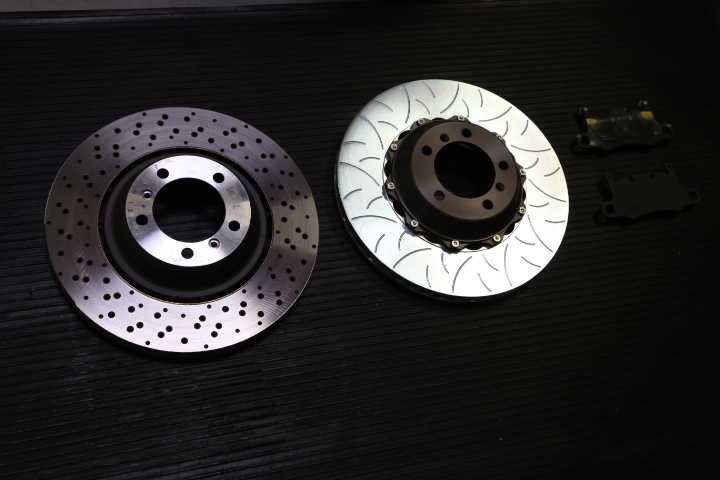 For this heavy duty STi motorsport package, Brembo engineered it with an extremely high thermal brake disc which is 35 mm thick and also has an annulus (radial depth from OD to ID of disc) of 64 mm (the specific pad uses a 61.5 mm annulus). This increased annulus leads to higher overall thermal capacity leading to lower disc temperatures and significant improvements in the pad and disc life. 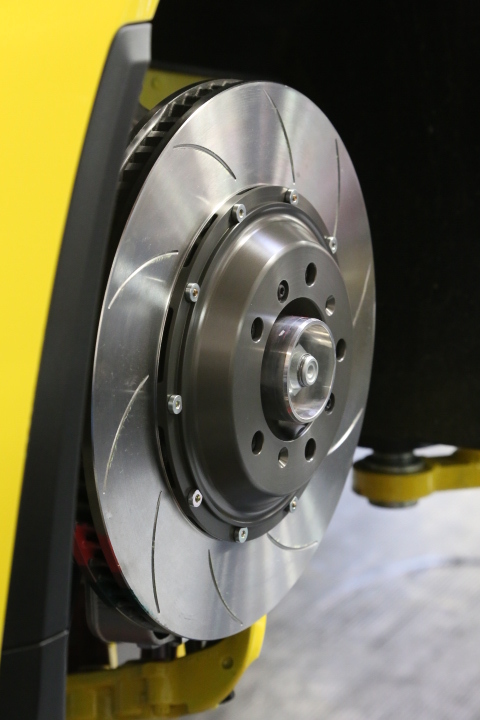 Brembo develops vehicle specific performance and racing brake packages designed specifically for the chassis they are supplied for. All Brembo race systems include all the specific parts needed to bolt the system right onto the vehicle without any modifications. Brembo 4-piston caliper range: Brembo Racing calipers are specifically chosen for the intended applications and environments they are used for. 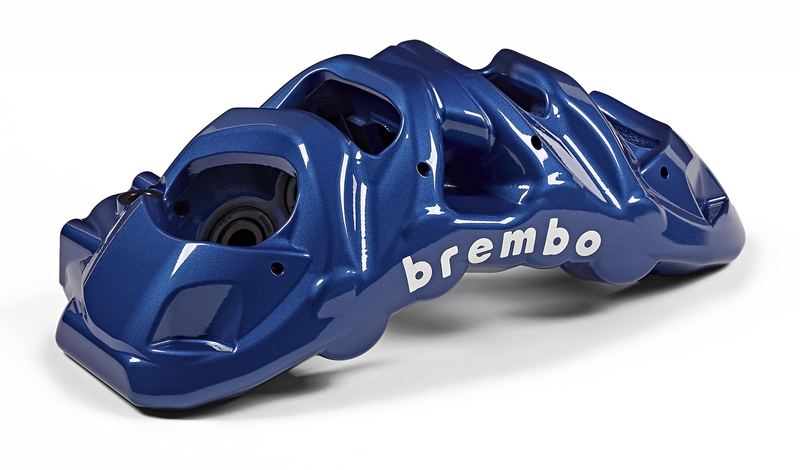 The 4-piston Brembo Racing caliper used specifically for many of the more affordable or track day race systems can accept a 328 > 355 mm diameter disc range with either a 32 or 34 mm disc thickness. The caliper is also available in many various piston size configurations so the pistons can be sized specifically for proper brake balance. 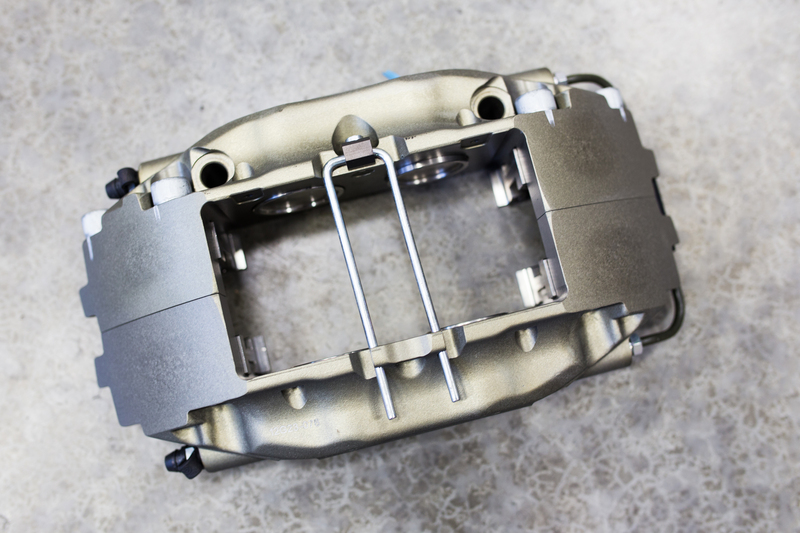 As generally production based cars have much higher weights, horsepower levels, and are more “open” in terms of setup versus dedicated race cars, a proper caliper is specified to meet the demands. 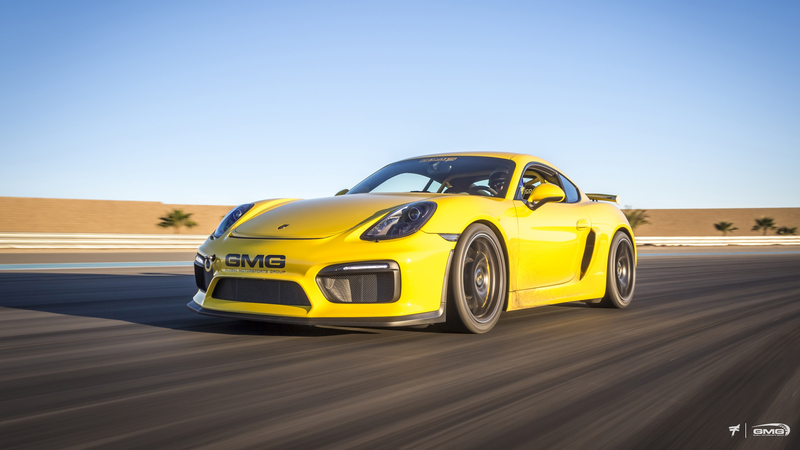 This extended range gives Brembo the ability to tailor the brake system (caliper, brake discs, and pads) specifically to the chassis whether for motorsports or track day use. Piston Size: Brembo engineers racing systems specific to the chassis and the application keeping the growing demands of the user in mind. The Subaru WRX STi OE caliper and the caliper used with this race system use 40 / 44 mm pistons. 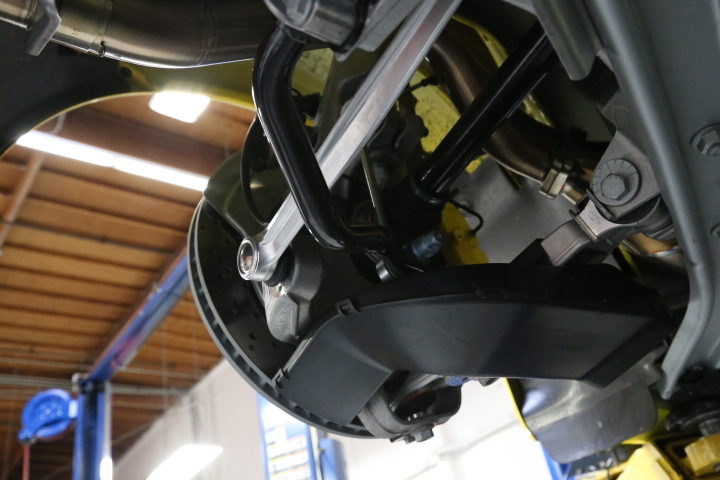 The effective brake torque required by the STi is closer to 40 / 44 because the chassis does most of the braking in the front. Brembo race systems generally keep the brake balance close to what the requirements of the chassis are, as altering or moving the brake balance significantly can detrimentally affect the chassis dynamics on the street or race track. 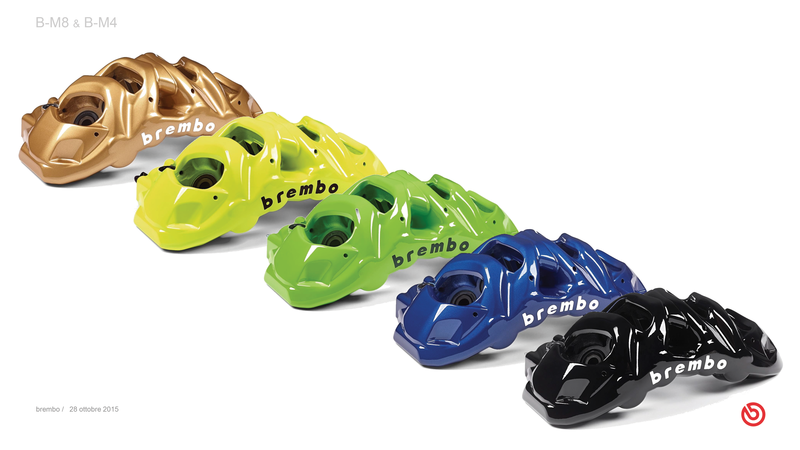 Brake Feel & Control: Brembo calipers offer superior braking feel and control compared to other calipers on the market. 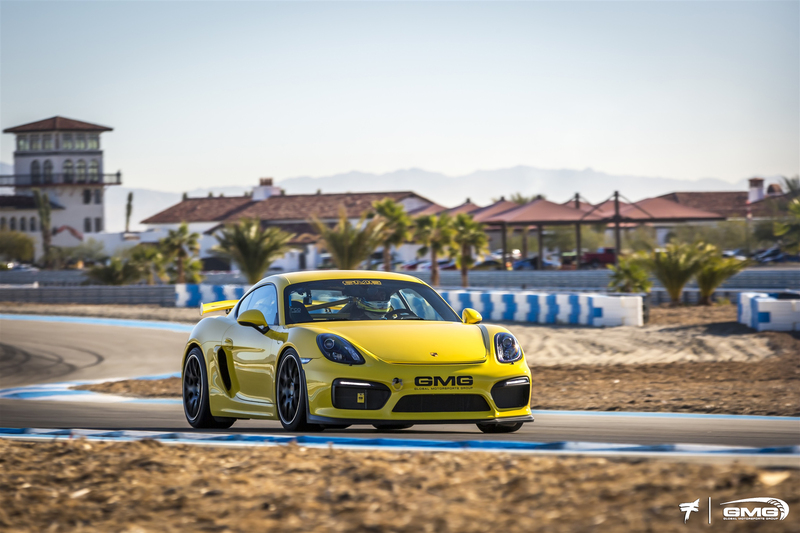 This comes from the many years of experience engineering and manufacturing motorsport calipers, including pistons, and piston seal grooves which heavily influence brake feel which is critical at the highest levels of professional motorsports. 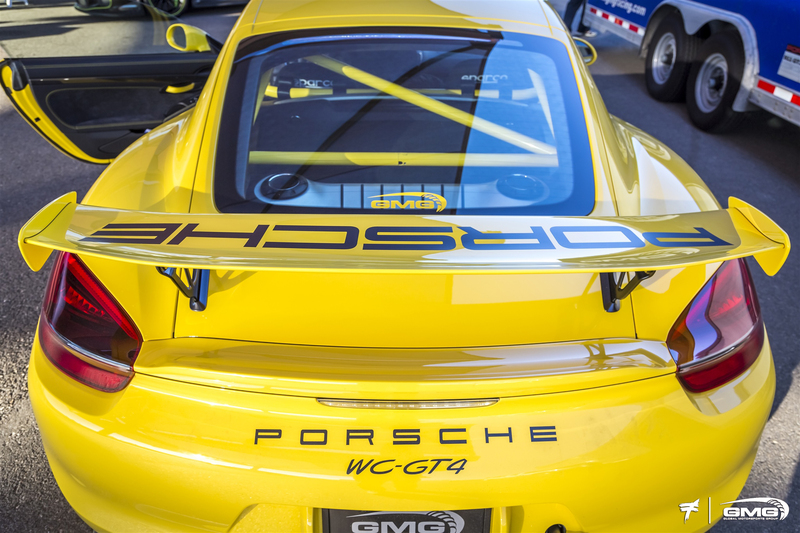 This is also one key reason why Brembo is used prominently throughout all forms of motorsports. 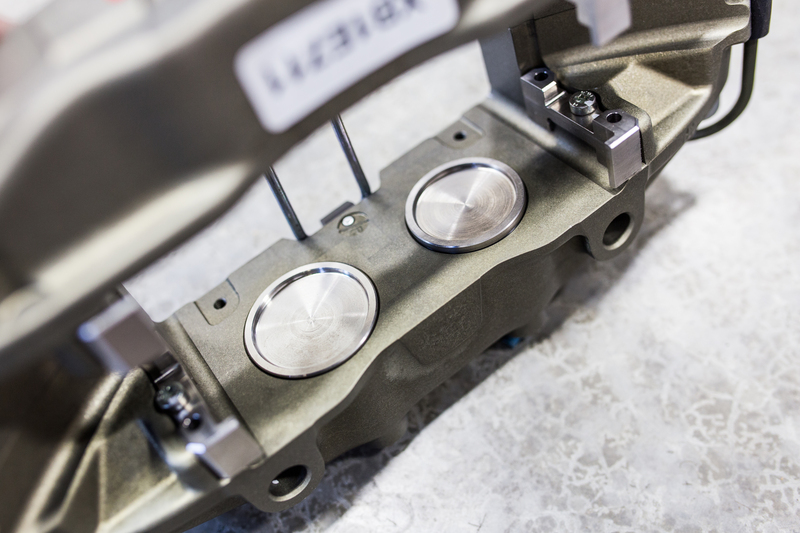 Heat Rejection: Brembo motorsport specific calipers (including the Brembo Performance GT-R caliper range) use either solid or ventilated stainless steel piston inserts for effective heat rejection. This helps protect the brake fluid and caliper seals from heat allowing greater braking stability in extreme duty or motorsport applications. Depending on the application and caliper design, the piston or piston insert material and design can be specified accordingly. Knock back: brake pedal knock back is generally not a function of the brakes and more of flex in the upright, hub or knuckle assembly. 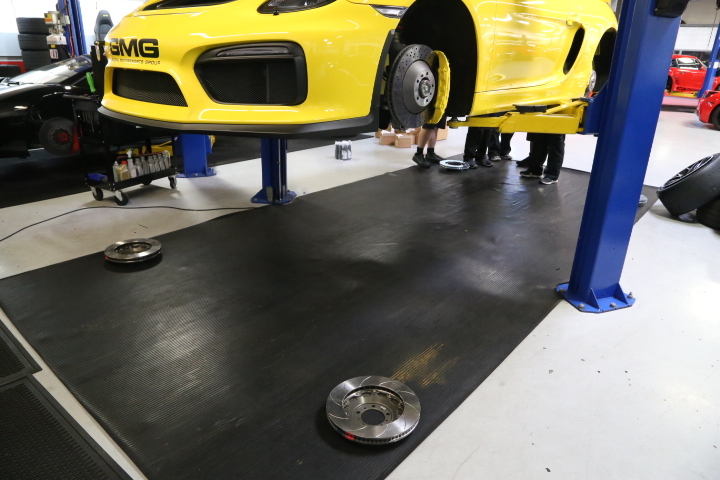 However, symptoms of knock back (pedal travel requiring the driver to double-tap the pedal prior to the brake zone) are generally felt in the brakes leading to a lack of confidence from the driver. 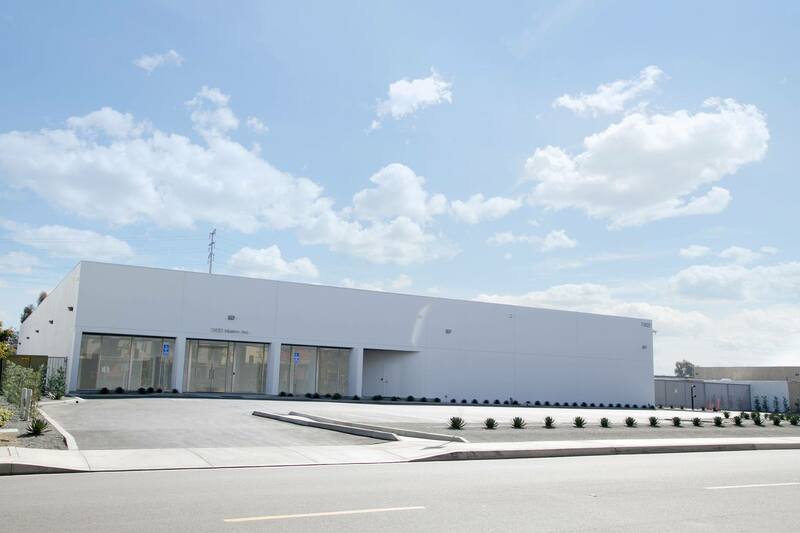 Brembo can work closely with the customer (or team) to trouble shoot and remedy knock back like symptoms in ways which are specific to the application. 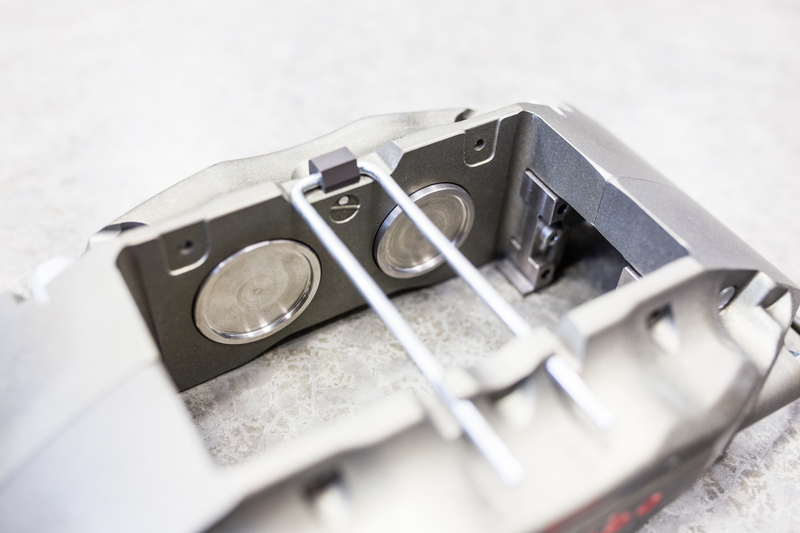 Some of the ways knock back can be remedied are through: specific piston sizes, adjustment of float in the disc to hat assembly or occasionally through knock back springs if the piston design can accept the springs. Contrary to popular belief, there is no one “magic bullet” solution or component which can cure knock back without other technical drawbacks. This is why it is important to understand the customer’s requirements, and work closely to address their technical needs. Swing Bridge: Brembo calipers are specified with swing or integral (fixed) bridges depending on the intended environment and chassis. 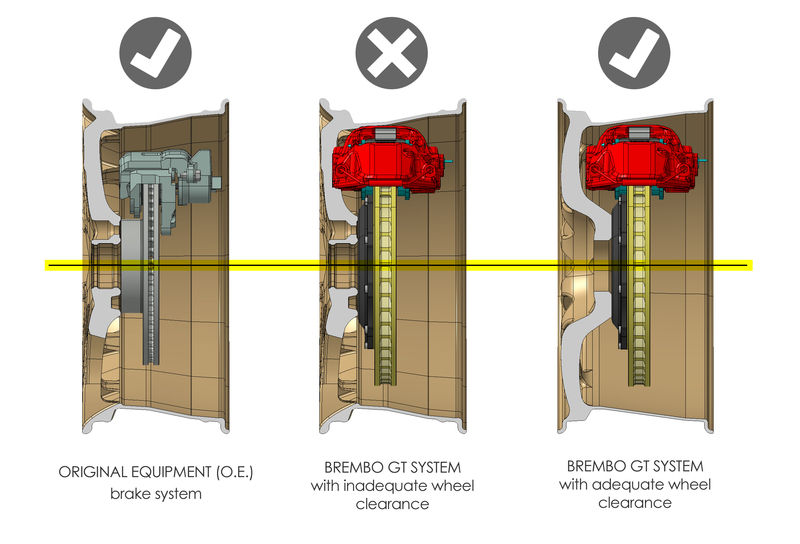 Brembo’s swing bridge design requires no tools to open up the caliper to change brake pads. 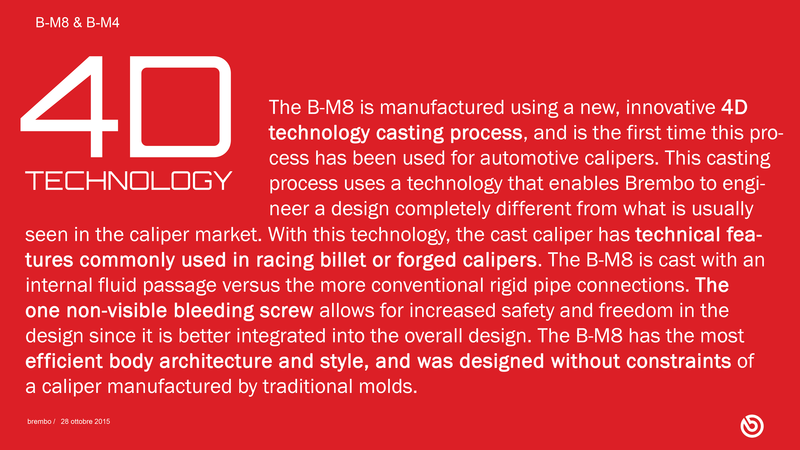 When a chassis or category of racing requires a fixed integral bridge, a specific caliper can be supplied to meet those demands. Overall Pad Thickness: The Brembo OE WRX STi calipers use a standard 15 mm pad, and Brembo Performance calipers can accept up to an 18 mm pad depending on the exact caliper spec. 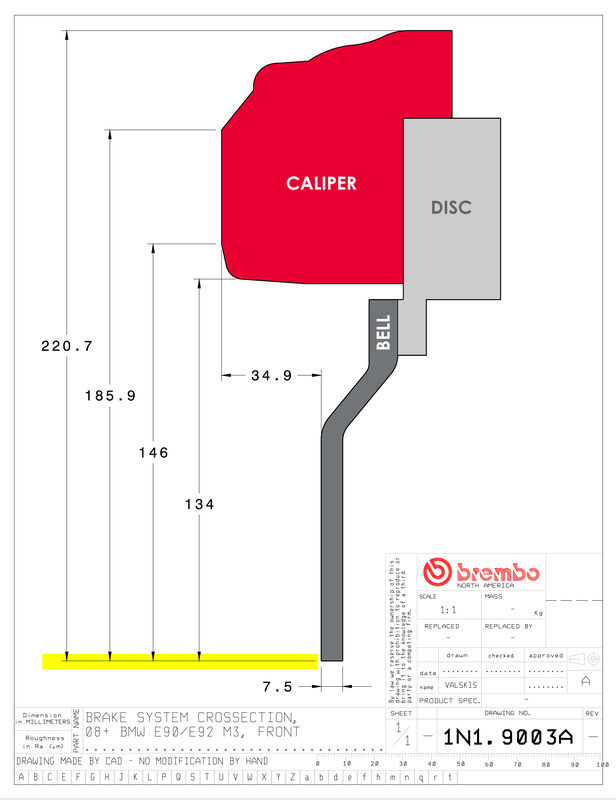 With Brembo Racing calipers, they can usually accept a 20, 25, or 29 mm pad depending on the exact caliper specification. 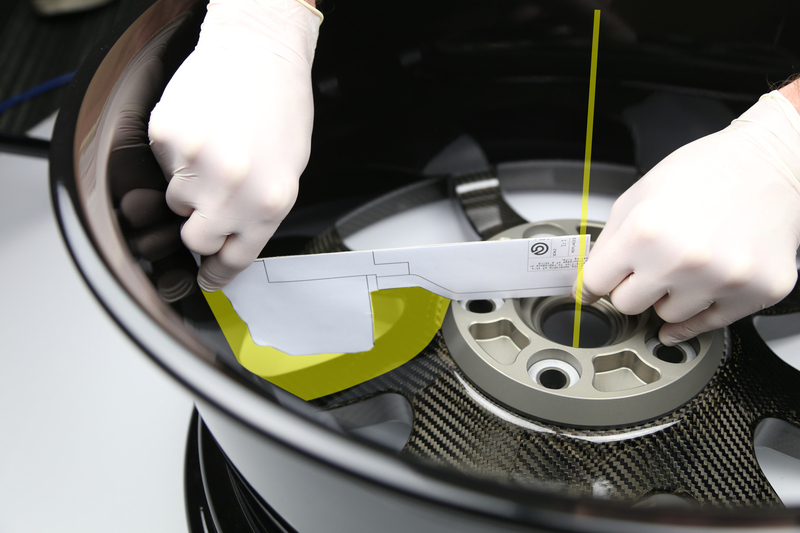 This can be quite a significant gain because thicker pads not only dramatically improves overall pad wear rates, but it also helps with overall pedal consistency (pads also function as a barrier against heat transfer to the pistons from the braking surfaces). 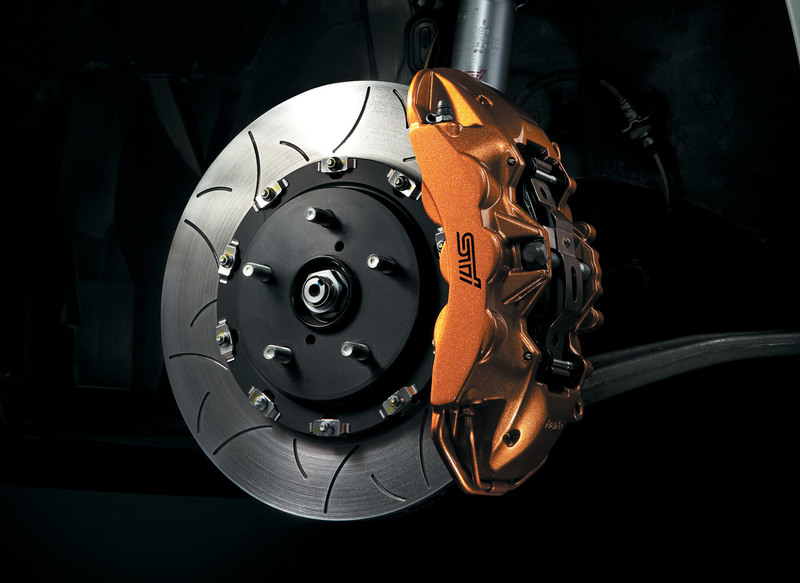 Due to nature of the Subaru WRX STi and the brake demand of the application, Brembo Performance “High-Thermal” or Heavy Duty packages are also offered for street and track use. The Subaru STi, depending on the model, did get a range of OEM Brembo systems starting with 4 piston front / 2 piston rears or 6 piston front / 2 or 4 piston rears for certain overseas models. 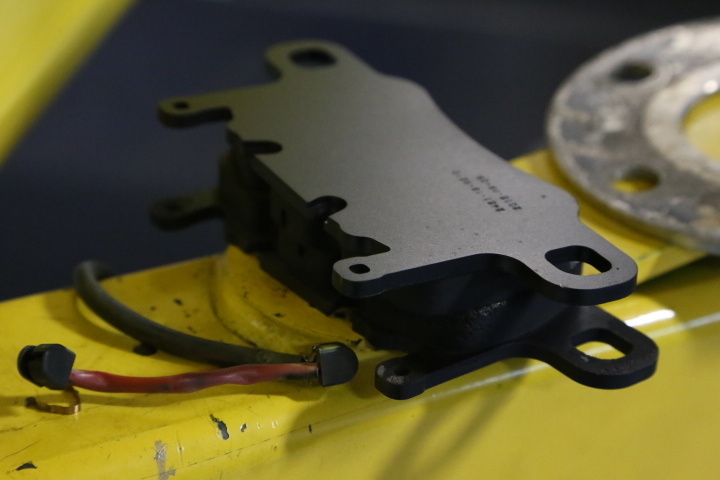 Brembo works very closely with car manufacturers to develop specific brake solutions for specific models and markets however, with OEM systems, there are always compromises as these systems are still limited by cost, serviceability, and comfort requirements of the car manufacturer. The Subaru Impreza STi Type RA-R and R205 models (Non US, overseas models only) got the most sophisticated of the OE Brembo systems. 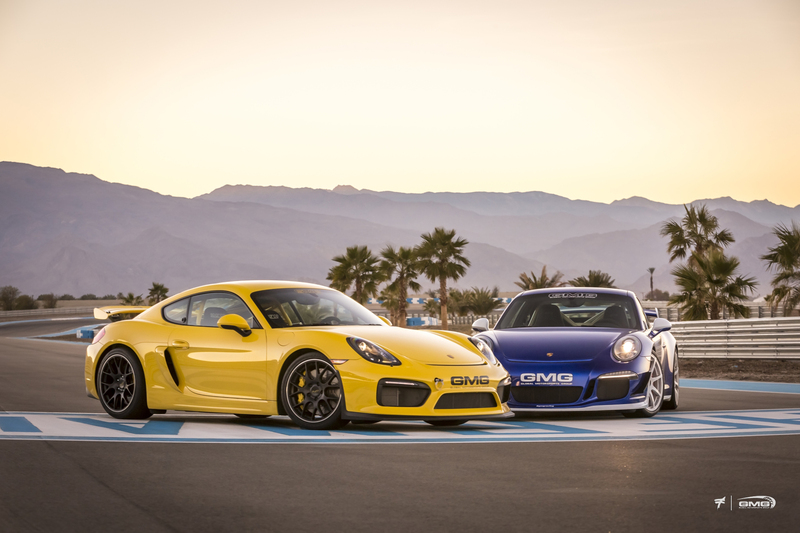 They feature Brembo 6 piston front and 2 or 4 piston rear calipers, paired with a 340 x 32 mm Brembo front disc using a very unique high performance face type. 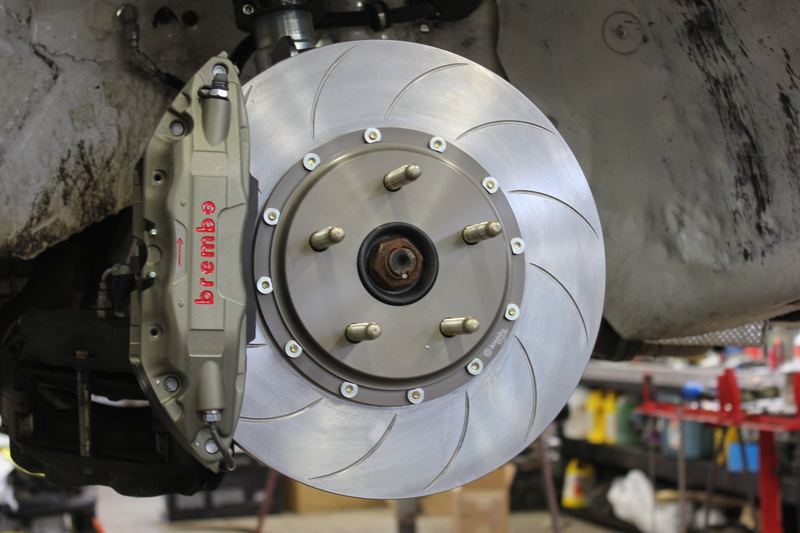 Sourcing, retrofitting, and servicing these OE brake systems is generally very time consuming as OE Subaru parts can only be sourced from Subaru (per Brembo’s relationship with the auto manufacturer) which can really add up because the replacement parts are unique to the OE components (replacement disc rings, seals). Feature: 6 piston sequential pistons sized specifically to the STi OE Master cylinder, ABS, and chassis. Benefit: Maintain optimum performance and brake balance for the Subaru Impreza WRX STi for street or track use while minimizing pad taper. Feature: Lightweight Mono bloc caliper with integral bridge versus a standard pin bridge on the Subaru Brembo OE system. Benefit: Improved rigidity and pedal feel in a wide range of environments from high performance street to track use. Feature: High temperature recessed seals and dust boots. 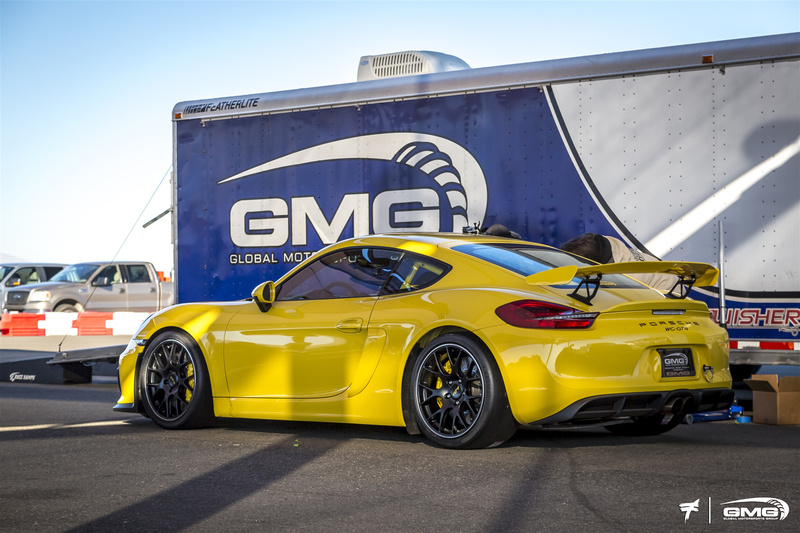 Benefit: Optimum performance at elevated temperatures seen on track while still maintaining drivability on the street. Motorsport use only calipers without dust seals need interval servicing as the piston seals do not have any protection against the environments. Benefit: Using thicker pads with greater pad surface area helps with overall longevity of consumables and stable performance. Benefit: Whether used for performance street or for dedicated track use: Race Technologies can choose from a wide range of street/track dual purpose, sprint or endurance race pads to best suit the customer’s intended use and environment. 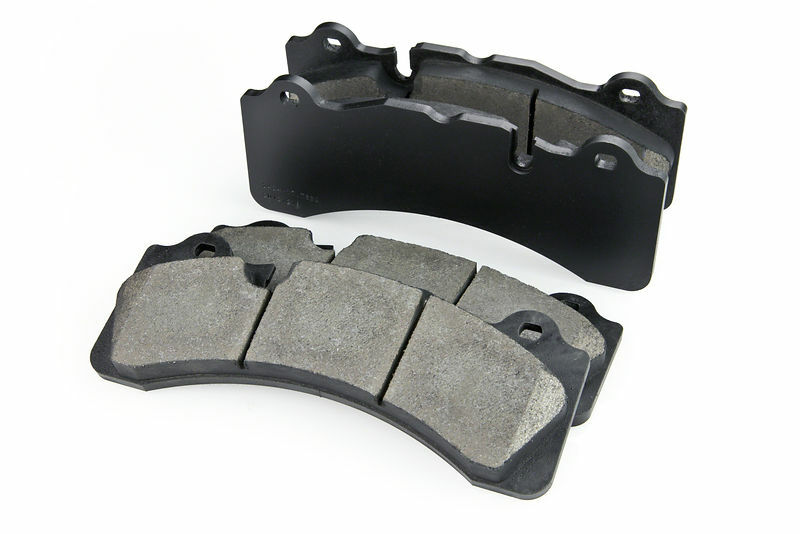 **All Brembo systems come equipped with high performance Brembo/Ferodo FM1000 brake pads, which is a great dual purpose street and track compound. However, for specific use, other compound choices are available upon request. 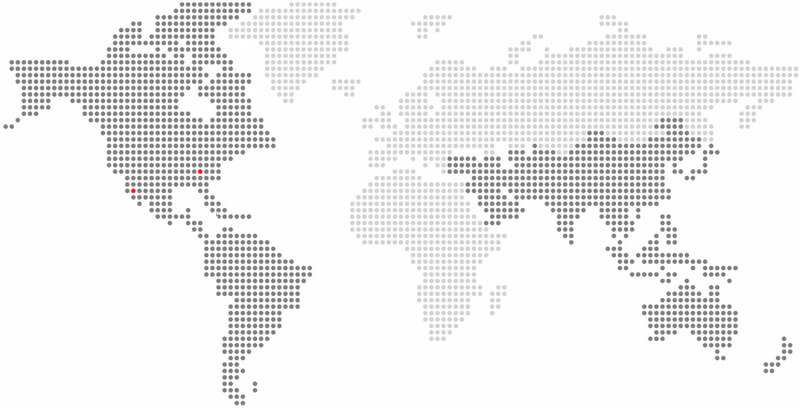 There’s a range of pad options for Brembo Performance systems (Brembo, Ferodo, Race Technologies, etc). 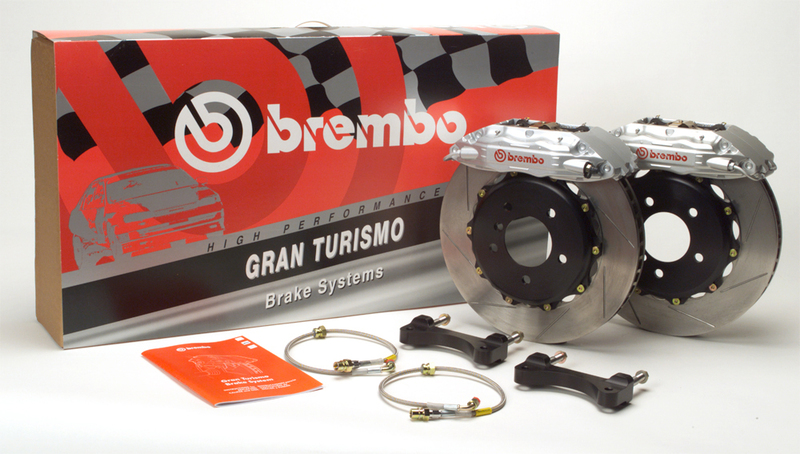 Feature: Brembo 350 x 34 mm, 68 mm wide annulus, “high thermal” discs. 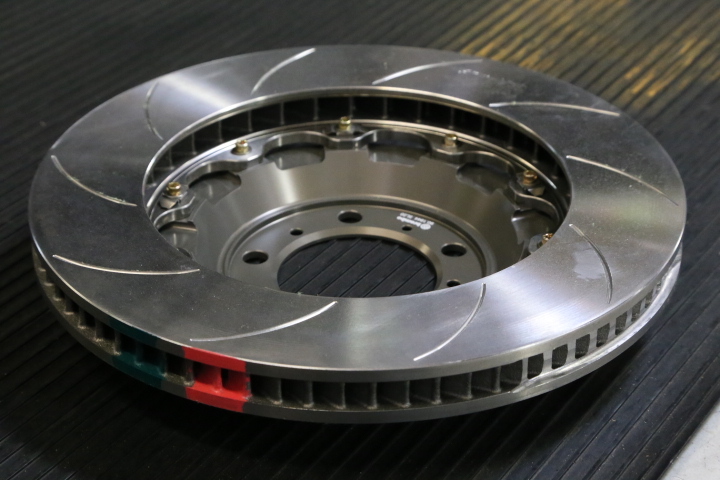 Benefit: Improved brake torque and durability over the 340 x 32 mm OE Subaru 6 piston system discs found on the Impreza STi RA-R/S205 OE System. Feature: 72 directional vane ventilation, with 19 mm air gap. Benefit: Vastly improved cooling efficiency over the Subaru OE system pillar vane ventilation type, while maintaining the increased thermal capacity of the disc. 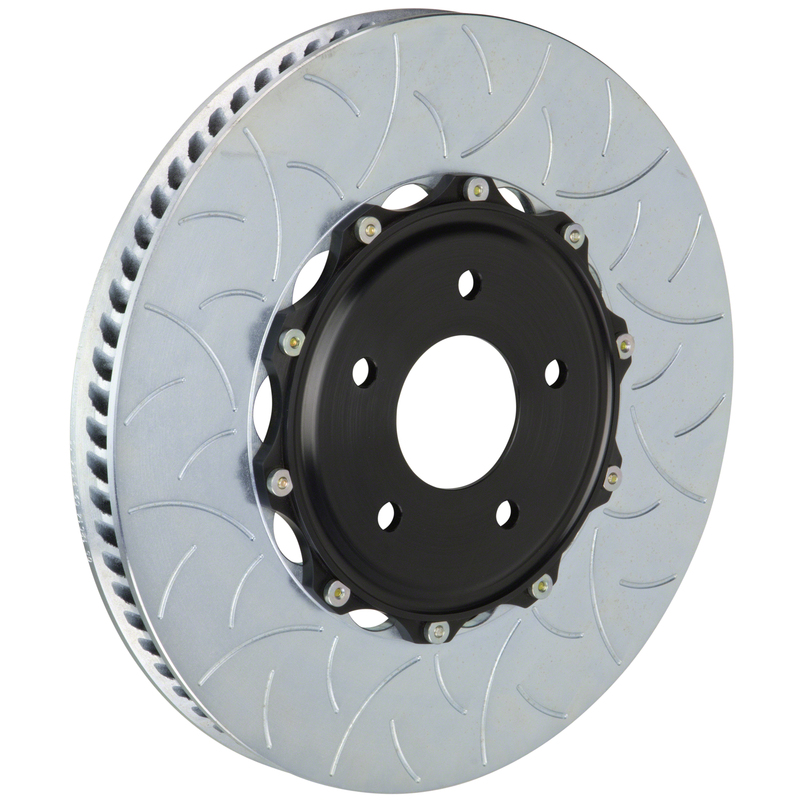 This translates to lower brake temperatures and greater life of components under heavier use. Brembo directional high thermal 72 vane ventilation which is a substantial increase over the Brembo OE pillar vane design. 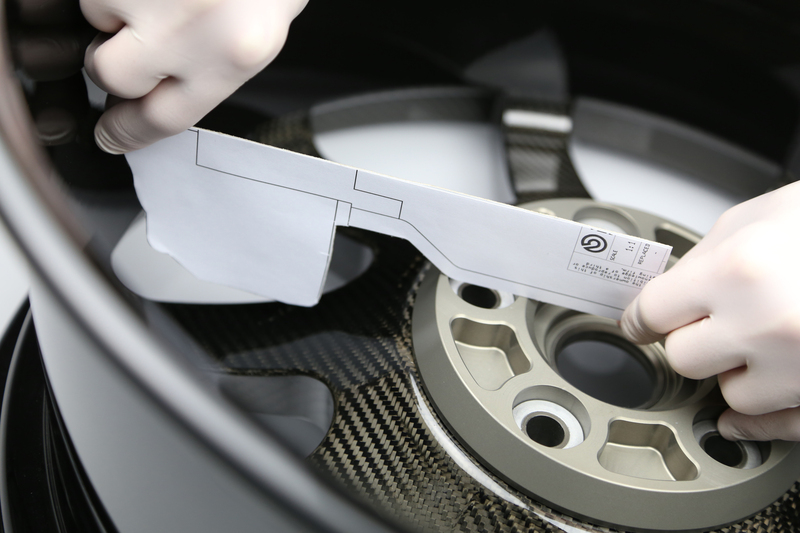 Feature: Brembo Racing discs using Type III motorsport developed face type. 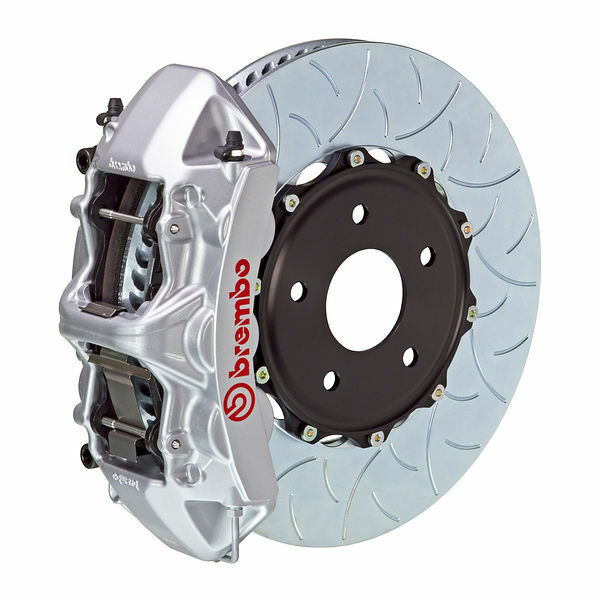 Benefit: Highest overall braking confidence as the Brembo’s aggressive face type places a strong emphasis on a high initial response (bite) and smooth release characteristics. Feature: Brembo Performance 2-piece disc assembly with anti-rattle hardware. Benefit: Brembo Performance 2 piece disc assemblies are lighter and more durable than typical 1 piece disc or other “aftermarket” 2 piece disc assemblies. 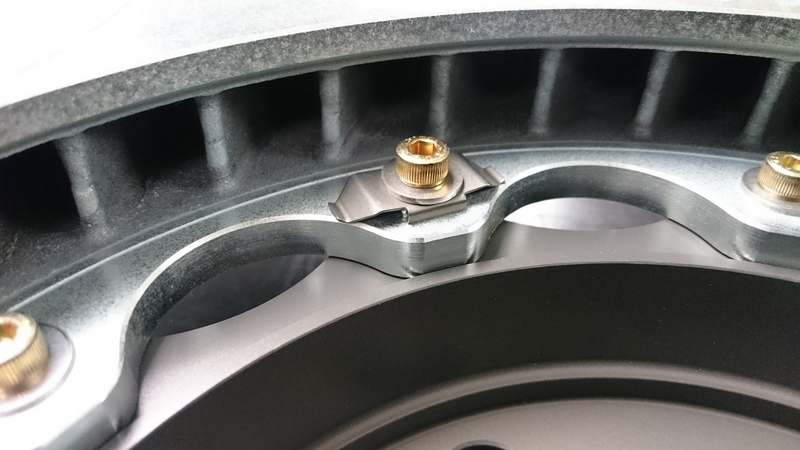 Brembo anti-rattle hardware allows the disc to expand and float on the bell while reducing noise. When time for replacement, only the disc ring and hardware needs to be replaced instead of the entire disc assembly. 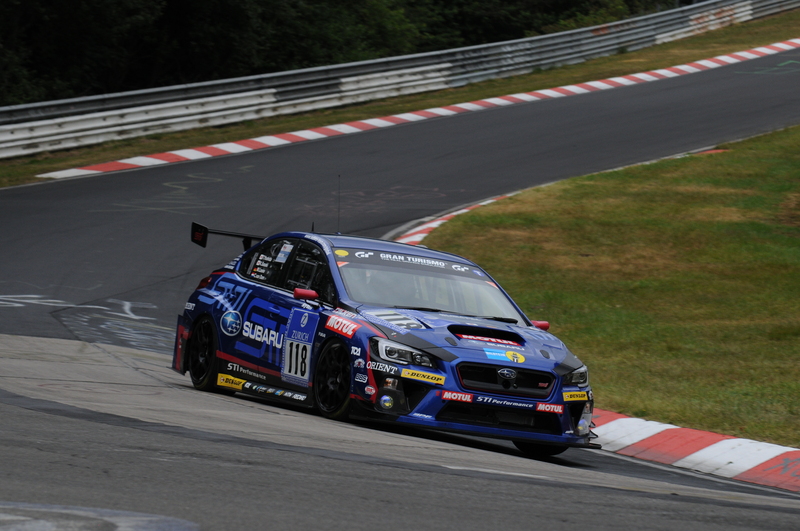 Brembo’s extensive background in professional motorsport with Subaru and as the OE brake supplier to Subaru gives extensive experience with the platform’s braking needs. 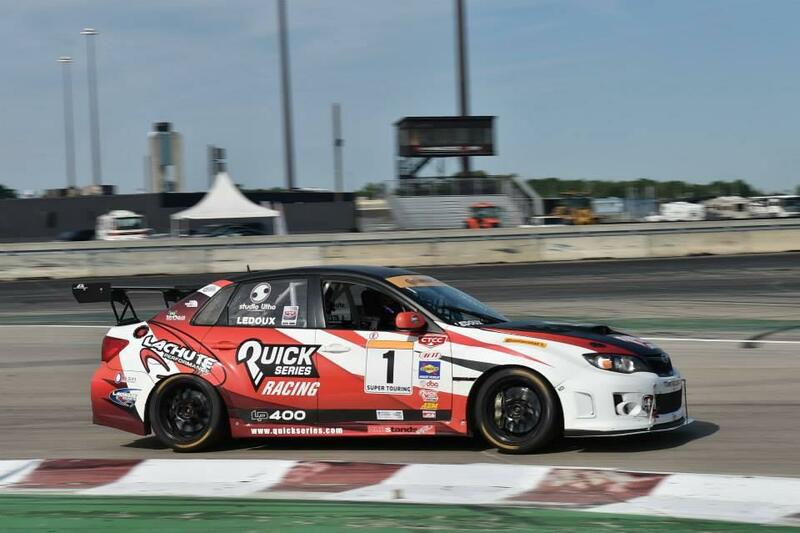 This allows Brembo to develop a wide range of performance and racing solutions to meet the growing demands of Subaru customers whether for street, track or racing use. 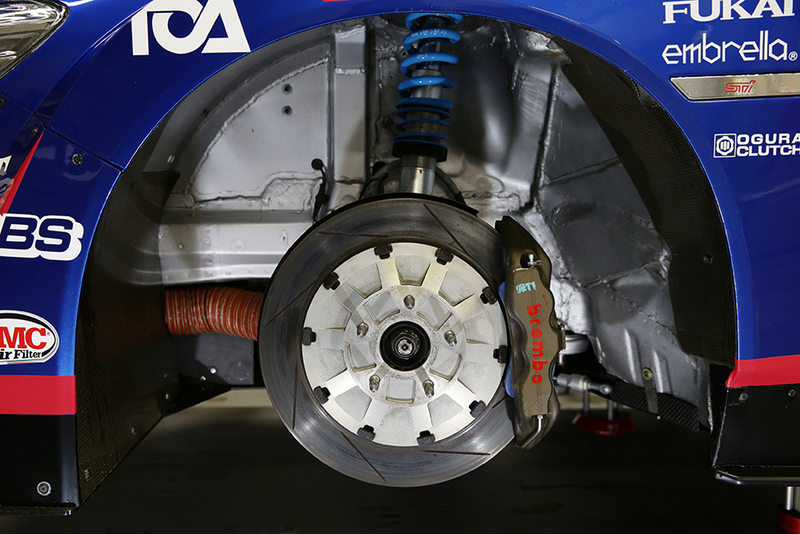 Subaru Nurburgring 24 Challenger equipped with Brembo Racing brake package. 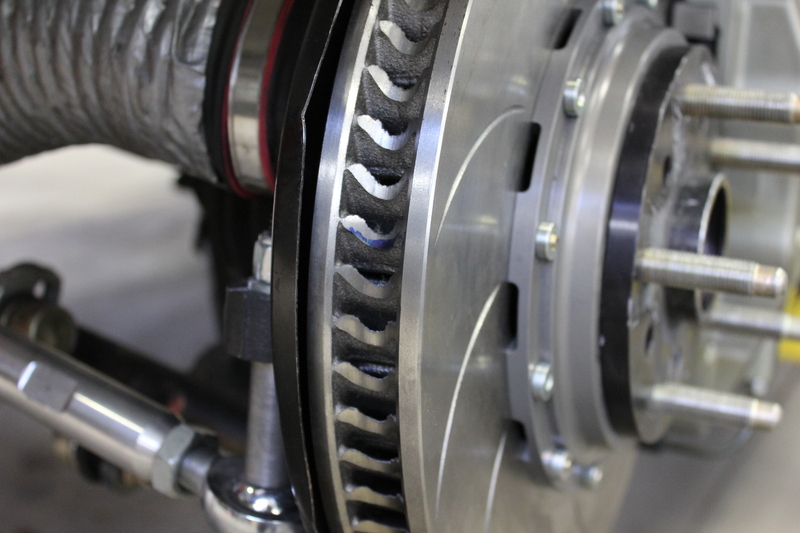 Friction Program & Development: Race Technologies and Brembo have a flexibility with friction that few brake manufacturers and suppliers have. 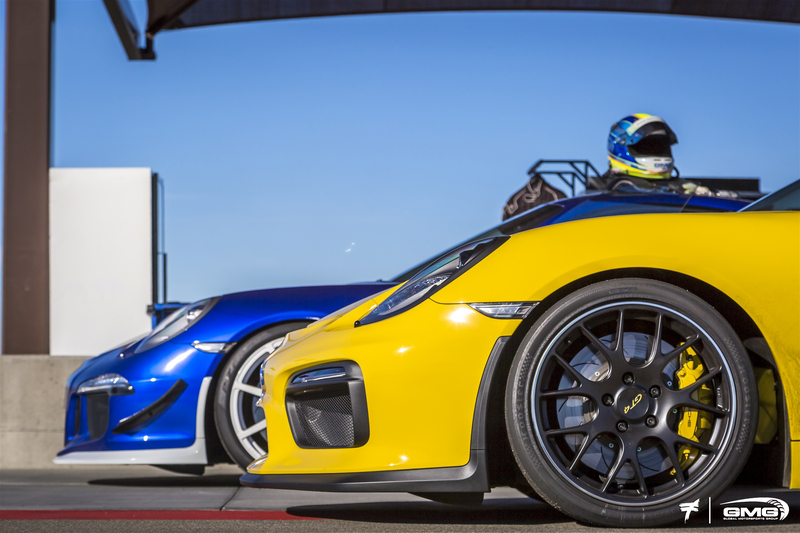 Unique compounds and pad shapes can be developed in relatively short lead times to meet the growing demands of professional racing teams and drivers. With the greater thermal capacity engineered into the Brembo system, we can choose higher friction, heavier duty friction pad options as well. 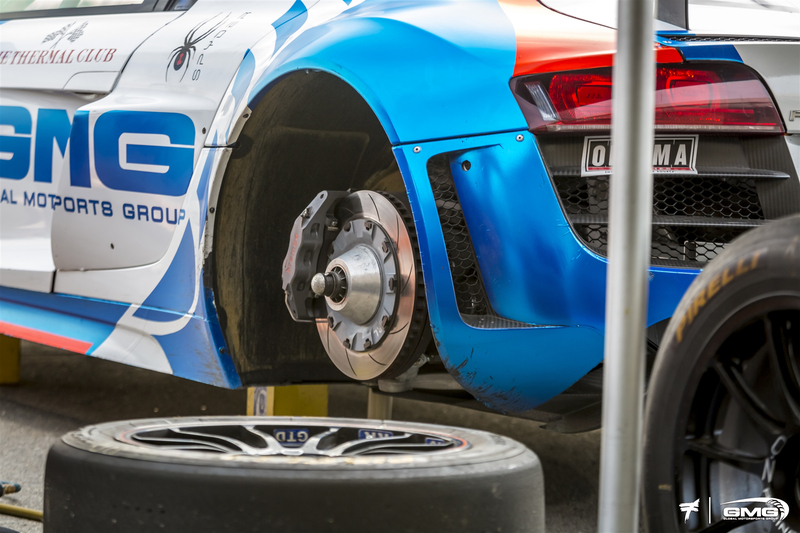 Race Technologies has helped several top factory supported Motorsport teams win endurance, sprint races & championships in professional racing purely based on the available range of the friction program. Race Technologies pads. 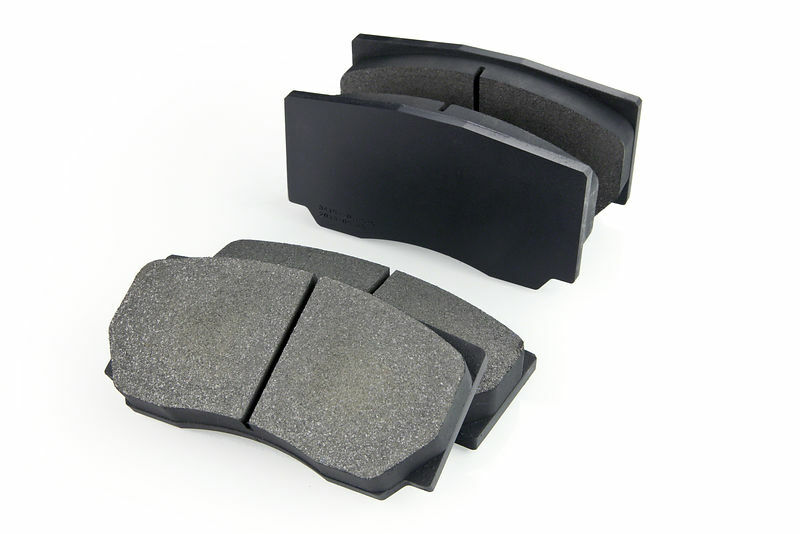 These pads were developed to offer up a specific solution for track or race use. 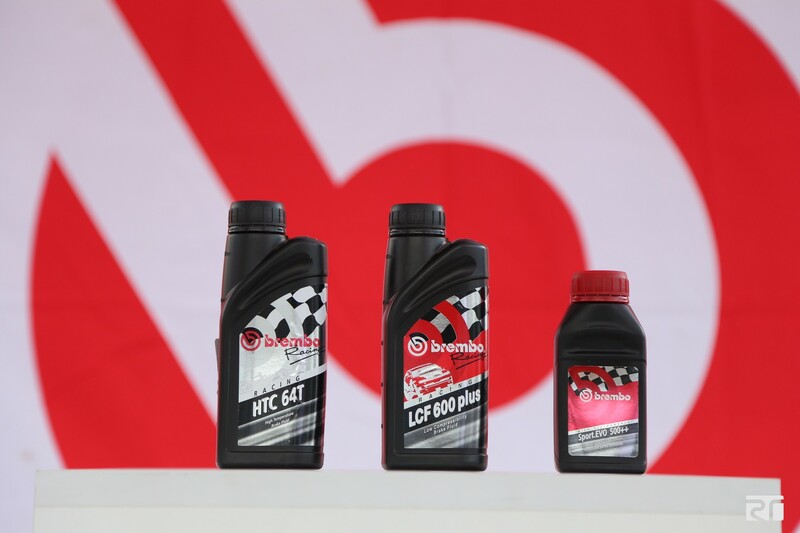 Brembo HTC64T brake Fluid: Brembo is one of 2 brake fluid suppliers to F1 and the Brembo HTC fluid is also one of the few racing brake fluids being actually purchased by professional sports car racing teams. 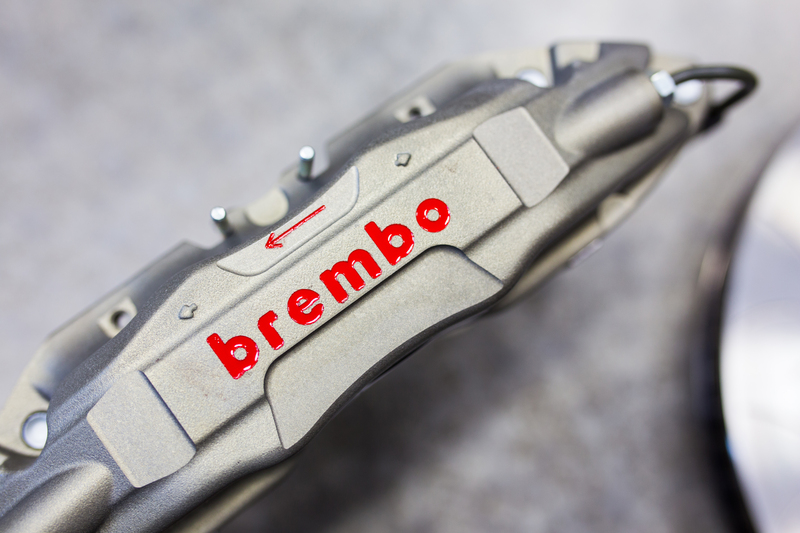 Brembo Racing fluids have lower compressibility which leads to a more consistent pedal feel, better fluid recovery, and higher dry boiling points compared to other fluids.